Review: Have you ever wished you read a book without knowing anything about it? That is the case here. I read the book summary on Goodreads and was super excited to read a book about a dueling magicians. I was expecting the literary version of The Prestige....oh how wrong I was. One of the magicians doesn't even know who the other is for about 10 years and the 'competition' consists of them trying to outdo each other creating beautiful things around the circus. No one (including the reader) knows why they are competing, what the competition really is and how it ends for the majority of the book. The characters were extremely flat and I felt no emotion toward any of them. 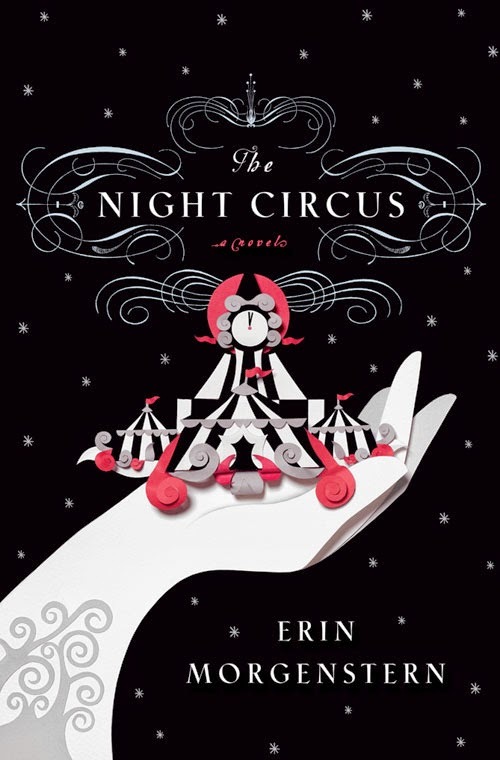 Now, that being said this was beautifully written (very descriptive) and I could really imagine the circus coming to life.